Your library card gets you as many books as you can read, free movies on DVD and Hoopla, CDs and downloadable music, and magazines to peruse. The Library subscribes to a vast assortment of online databases for health care, car repair, education, genealogy, business, and more—which you can access from home with your card. Along with the privilege of checking out materials and using online databases, you also have access to a host of knowledgeable professionals. Librarians have Master’s degrees in Library and Information Science. They know how to find answers—in print and online. Visit the Library pages that appear in every issue of Neighbors of Batavia to find free, entertaining, and educational programs for babies and toddlers, families, students, teens, and adults. Batavia Public Library cardholders get registration priority. So, where do you get the most bang for your buck? At the Library. Get your card today and enjoy everything the Library has to offer. The Library launched a new service in July, which you may have already experienced. Library materials are now automatically renewed on the day they are due, with three exceptions: (1) there’s a hold on the item; (2) the item has reached its renewal limit (2 times); or (3) you have fines in excess of $5 on your account. This new service is expected to save you late fees, should you forget to return or renew an item. On the day items are due, an email will go out stating that either an item(s) was renewed or was NOT renewed. A note of caution: Before renewing an item online, check the due date. If you haven’t read your emails, you may not know the item was already renewed. Mon., Sept. 21, at 7pm. New York Times best-selling author Robert Kurson, author of Shadow Divers, will discuss his newest book, Pirate Hunters. 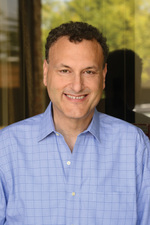 Kurson has worked for the Chicago Sun-Times, Chicago Magazine, and Esquire, and has had stories published in Rolling Stone and the New York Times Magazine. The Batavia Public Library Foundation is the New Lyceum Lecture Series 2015–16 season sponsor. • The drive up book and media returns on the lower level have been remodeled. The return depositories now extend from the building. If you’ve had trouble adjusting to the new returns, here’s a helpful hint: take it slow and follow the curb as you approach the returns. • Beginning in October—Family History Month—the Library will offer Batavia Public Library cardholders one-hour, one-on-one genealogy sessions with a librarian, Monday through Friday, from 9am to 5pm. Call the Reference Desk to make an appointment.